BPS offers a wide range of engine, transmission, torque converter, and transmission valve body cores, and more. BPS’s team of dedicated Powertrain Experts processes hundreds of different applications each month. 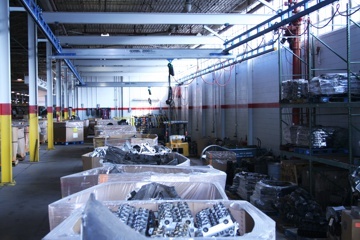 All sorted and stocked per part number covering over 50,000 square feet of dedicated warehouse space.